Every year, congregations from coast to coast descend upon Washington, D.C. brining nearly 2,000 high school students to a L'Taken Social Justice Seminar, an intense, four-day study kallah on Jewish values and public policy. The program exposes students to a variety of public policy issues, guides them to explore the Jewish values surrounding these issues and teaches them the skills of an effective social justice advocate. Students learn from policy experts and each other, tour D.C., celebrate a memorable havdalah service at the Jefferson Memorial and meet with their elected officials on Capitol Hill. 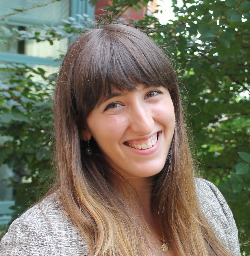 Bio: Ariella Yedwab grew up in Michigan and was a camper and counselor at URJ Camp George for eight years. She attended the University of Michigan (go blue) where she majored in Organizational Studies and Judaic Studies. She enjoys hiking, reading, yoga and learning to play the Ukulele. 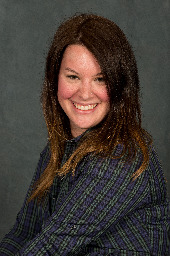 Bio: Lizzie Stein is originally from Phoenix, Airzona, where she is a member of Temple Kol Ami. She studied Politics and Spanish at Occidental college and spent a semester in Salamanca, Spain. Lizzie enjoys hiking, playing ultimate Frisbee and listening to podcasts. Lizzie’s legislative portfolio includes Environment: Clean Air and Water, Climate Change, Energy, Food Justice; Interfaith Relations; Civil Liberties; and Hate Crimes. Bio: Max Antman grew up in Evanston, Illinois, and remains a member of Beth Emet the Free Synagogue. 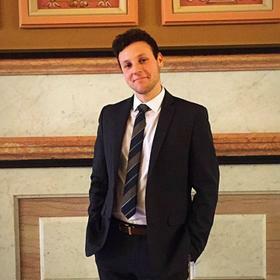 He recently graduated from the University of Illinois at Urbana/Champaign, where he studied Political Science, English and Jewish Culture and Society. During his free time, Max enjoys hiking, stir-frying and a good karaoke session. This year, Max's work will focus on LGBT rights, immigration, judicial nominations and Native American issues. 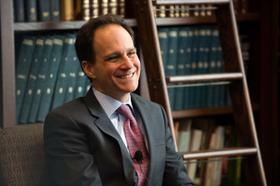 He will also be working with Reform Jewish Voice of New York State. 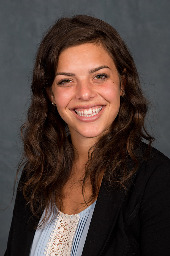 Bio: Maya Weinstein grew up in Fort Myers, FL. She graduated from the George Washington University, where she studied Human Services and Criminal Justice. She enjoys attending services and programs at Washington Hebrew Congregation, visiting state capitol buildings, and Instagramming her cat, Apollo Avraham. Maya’s legislative portfolio includes Women’s Issues, Reproductive Rights, Human Trafficking, Gun Violence Prevention, and Election Issues. 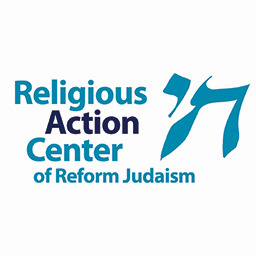 She will also be working as the Women of Reform Judaism LA. Bio: Michael Namath grew up in Clearwater, FL. He graduated from the University of Florida, where he majored in American Studies. After four fantastic years of study in Gainesville, FL he continued his learning at the Hebrew Union College Jewish Institute of Religion where he was ordained as a Rabbi. He has spent time on staff or faculty at Camp Harlam, Jacobs Camp, and Kutz Camp. He enjoys listening to podcasts, visiting baseball parks, and running. Michael’s portfolio includes overseeing all of the RAC’s programs, education, and training. 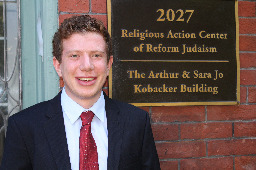 Bio: Nathan Bennett is from Wilmette, IL, and was a member of Ner Tamid Ezra Habonim Egalitarian Minyan. He attended Northwestern University, where he studied History and Political Science and spent a semester at Tel Aviv University studying Jewish history and Israeli politics. Nathan enjoys baseball, going to concerts, and roller coasters (despite his motion sickness). Nathan’s portfolio this year includes economic justice, housing and homelessness, minimum wage, disability rights, children and education, healthcare and labor. Bio: Sara Barrack grew up in Upper Saddle River, NJ. She graduated from The George Washington University and loves the vibrancy of DC. She is a Conference Manager at the RAC and L’Taken is her favorite time of year! 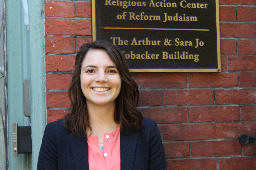 Bio: Sarah Greenberg is the Assistant Legislative Director at the Religious Action Center of Reform Judaism. In this role, she oversees the Eisendrath Legislative Assistant Program, runs the RAC’s blog and works on the church-state and religious freedom portfolio. 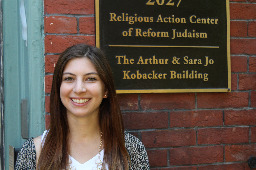 Sarah started at the RAC as a Legislative Assistant in 2013-2014. Originally from New York City, Sarah graduated from Cornell University and spent a year at the Institut d'études politiques de Paris (Sciences Po). Sarah is always eager to chat about all things France and French, historical fiction (movies, TV and books!) and Supreme Court-related podcasts. Bio: Shelby Friedman is from Dallas, TX, where she is a member of Temple Emanu-El. Shelby graduated from Middlebury College, where she studied Political Science and Hebrew and spent a semester studying in Istanbul, Turkey. Shelby is a podcast aficionado and also appreciates a challenging yoga class. Her portfolio includes Israel, refugees, world Jewry, the Holocaust, Anti-Semitism, and international issues including global poverty, foreign aid, international religious freedom, global HIV/AIDS, foreign policy, arms control, debt relief, human rights, military issues and malaria prevention. 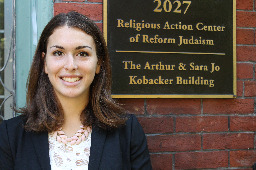 Bio: Shira M. Zemel came to the Religious Action Center in 2014 as the Assistant Program Director and now works as the Director of Youth Leadership Development. Shira grew up at URJ Camp Harlam, one of the Reform Movement’s summer camps, where she worked on staff for many summers. She is also a proud alum of the Reform Movement’s high school semester in Israel program, NFTY-EIE. Shira is a member of Temple Micah in Washington, DC. Attendees please download Whova event app, to access the information of all 15 speakers.